The short of it: We’ll donate $1 to Build.org for every qualified webinar sign-up at IRCE. eCommerce Guide to Google v. Q3 2014: This webinar will be hosted later this month, called ‘Google Guide version Q3 2014’. Viewed to date by over 1,000 online retailers, the feedback on this webinar has been overwhelming. It will help you secure a much clearer sense of how to navigate the changes that Larry Page has imprinted upon Google since his return as CEO on April 4th, 2011. We’ll cover Panda, Penguin, Google Shopping, SERP changes, Google’s ever-changing business model and so much more. This is meant for online retailers only. Finding Your Online Retail X-Factor: This webinar is a workshop where online retailers get the opportunity to learn their strengths and weaknesses – and compare them against the newest online retail strategies that are emerging in 2014. During the 1st viewing, the number of attendees who could confidently pinpoint their “X factor”, the unique aspect of their business that makes them viable, went from 16% when we began to 49% by time the webinar concluded. We received emails thanking us for the webinar for weeks on end and we can’t wait to do it again. PPC Power Moves: Game-Changing Secrets for Online Retailers: The third webinar delves into the most effective approach to PPC for online retailers. It is a methodology that has led to an impressive distinction for our agency: the best results in the industry. We call our approach the “flux” approach and its greatest achievements are 14x more profit than competitors and no plateauing for our clients. If history repeats itself, we expect 50% of attendees to ask for an audit thereafter and those who can afford our rates will sign up for our paid search services. All others will be given a roadmap for how they too can achieve their best results ever. 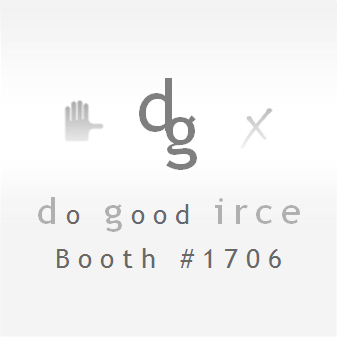 Before we left for IRCE, we wanted to make sure we were going to do something good while we were there. To use entrepreneurship to excite and propel disengaged, low-income students through high school onto college success. The result: 99% of seniors go off to college! With over 10,000 entrepreneurs attending IRCE,we knew we could incite people to join in on our support for Build’s students.